This is the public profile of Bumjin Kim, Additional information and high-resolution images are available for accredited press members, to access additional information about Bumjin Kim please login as a press member. 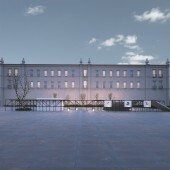 About Bumjin Kim : Trained academically and professionally as both an architect, designer and artist, Bumjin Kim has working experiences in the U.S., France, China and Korea and his works were exhibited in the U.S., Spain, and China. Bumjin has a Bachelor of Engineering degree in architecture from Hongik University in Seoul, Korea. After work experience for a while in Seoul, he recently graduated with a Master of Architecture degree from MIT. 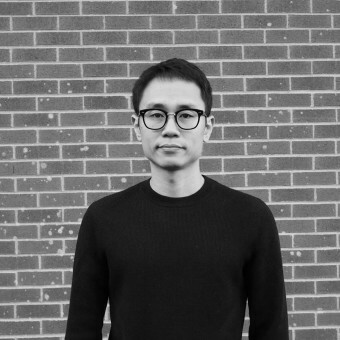 Bumjin resides and works in the U.S., he seeks to discover various methods of architectural thinking, designing and making through creating exploration of public, user's perspectives. 2014, Architectural Studies, Master of Architecture, MIT, Cambridge/USA. 2014, 1st place, Lisbon Open Room Competition, Barcelona, Spain. 2014, Honorable mention, RTF Sustainability Awards 2014, New Delhi/India. 2012, 3rd place, Kangchun island rehabitalization ideas competition, Seoul/Korea. 2010, Honorable mention, SAMSUNG 1st graphic contest, Seoul/Korea. 20017, A' Design Competition, COMO/ITALY etc. Press Members: Request an exclusive interview with Bumjin Kim.